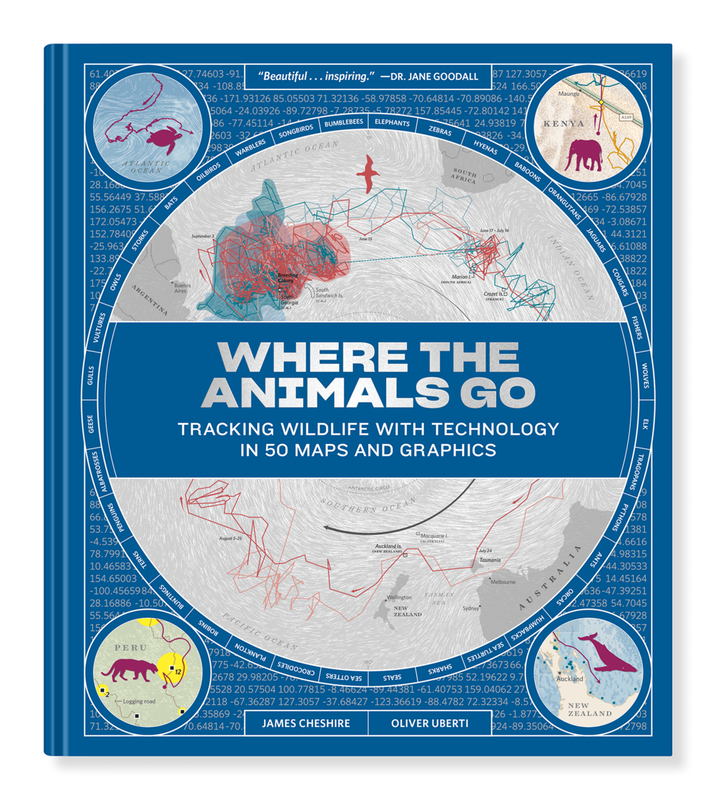 Where the Animals Go is the first book to offer a comprehensive, data-driven portrait of how creatures like ants, otters, owls, turtles, and sharks navigate the world. For thousands of years, tracking animals meant following footprints. Now satellites, drones, camera traps, cellphone networks, and accelerometers reveal the natural world as never before. 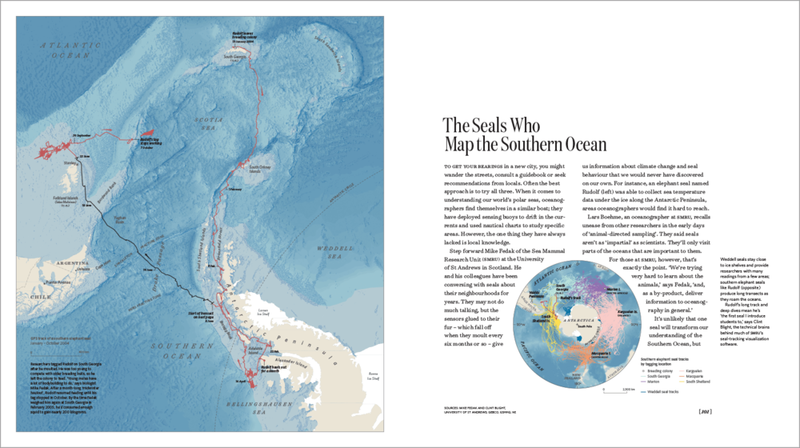 Where the Animals Go is the first book to offer a comprehensive, data-driven portrait of how creatures like ants, otters, owls, turtles, and sharks navigate the world. 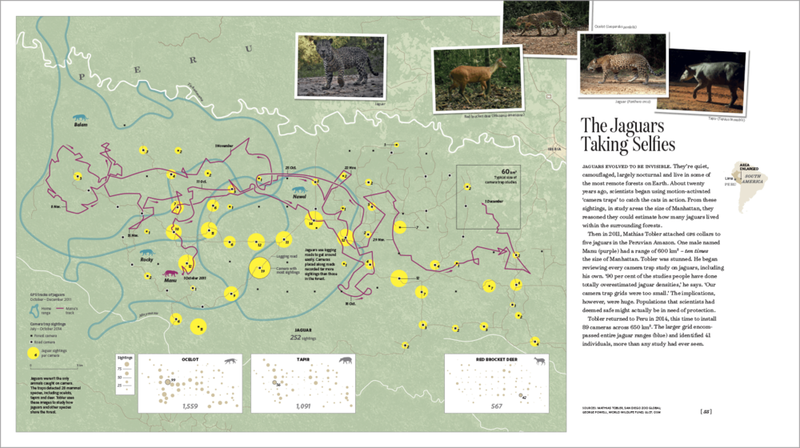 Based on pioneering research by scientists at the forefront of the animal-tracking revolution, James Cheshire and Oliver Uberti’s stunning, four-color charts and maps tell fascinating stories of animal behavior. These astonishing infographics explain how warblers detect incoming storms using sonic vibrations, how baboons make decisions, and why storks prefer garbage dumps to wild forage; they follow pythons racing through the Everglades, a lovelorn wolf traversing the Alps, and humpback whales visiting undersea mountains. 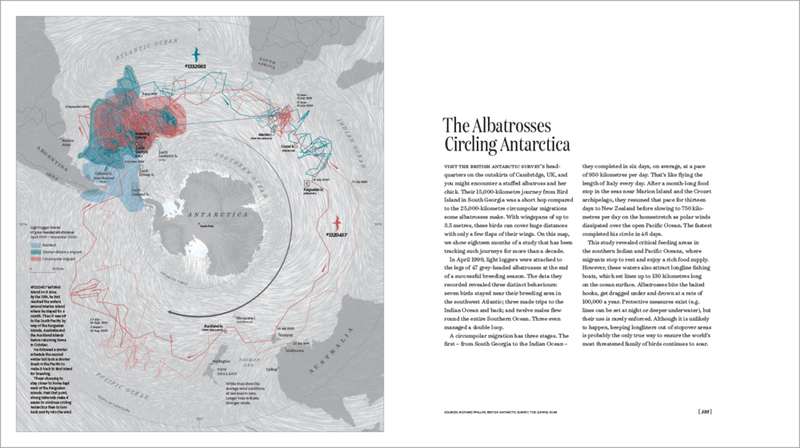 Where the Animals Go is a triumph of technology, data science, and design, bringing broad perspective and intimate detail to our understanding of the animal kingdom.